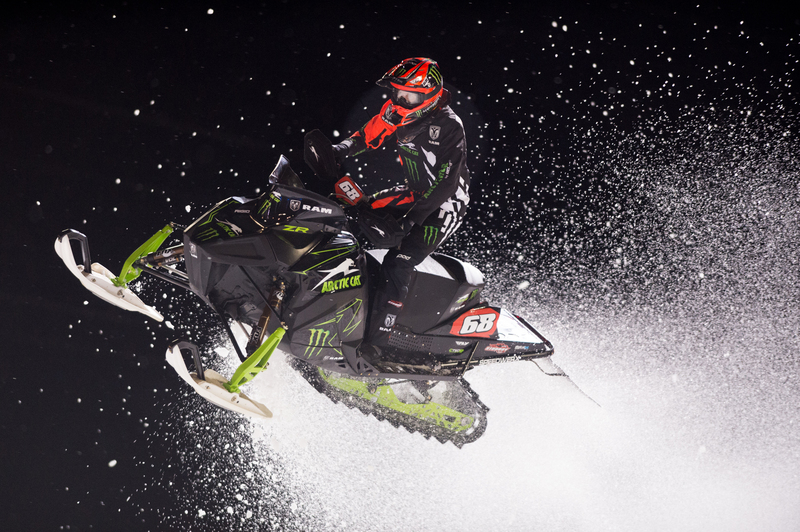 September 5, 2018 – Tucker Hibbert recently announced his retirement from professional snocross, and now he’s releasing a limited edition merchandise collection that’s dedicated to the fans that helped make his racing career so incredible. The new Incredible Ride Collection features clothing and collectable items that commemorate Hibbert’s legendary career accomplishments and victories. 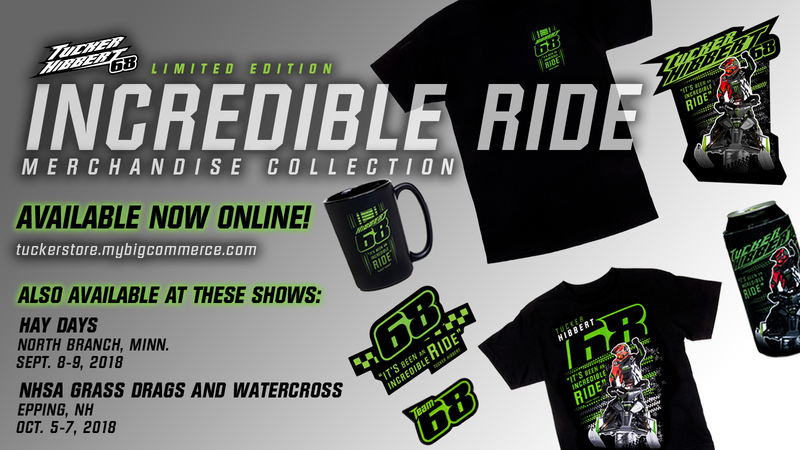 Hibbert’s Incredible Ride Collection includes an adult and youth t-shirt, ceramic mug, enamel pin, sticker pack and koozie. All items are limited edition and will not be reproduced. Fans will have the opportunity to see Hibbert and purchase items from the Incredible Ride Collection at his booth at the Hay Days event in North Branch, Minn., Sept. 8-9, 2018; and at the NHSA Grass Drags and Watercross event in Epping, NH, Oct. 5-7, 2018. All items are also available for purchase through Hibbert’s official online store. 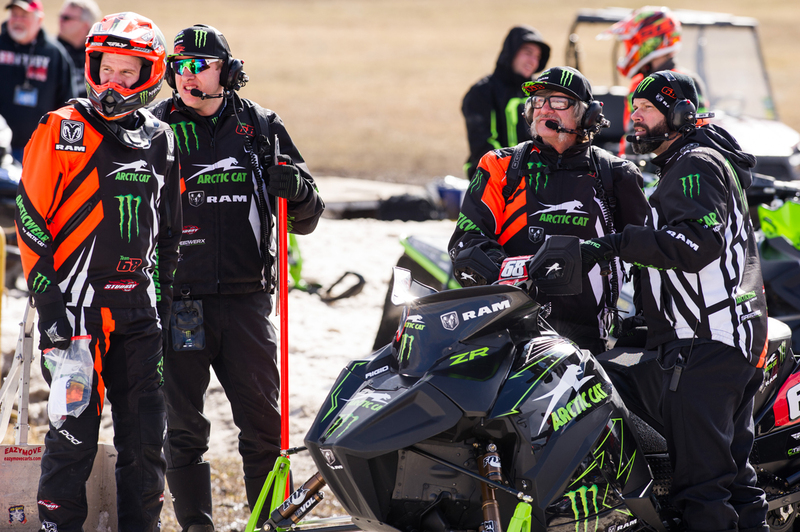 The Incredible Ride t-shirt highlights Tucker Hibbert’s snocross career with a detailed image of him racing in his final season and boldly lists his on track accomplishments. It’s available in both adult and youth sizes and printed on a black preshrunk cotton t-shirt. The Incredible Ride Mug is perfect for your favorite hot beverage after a chilly ride. 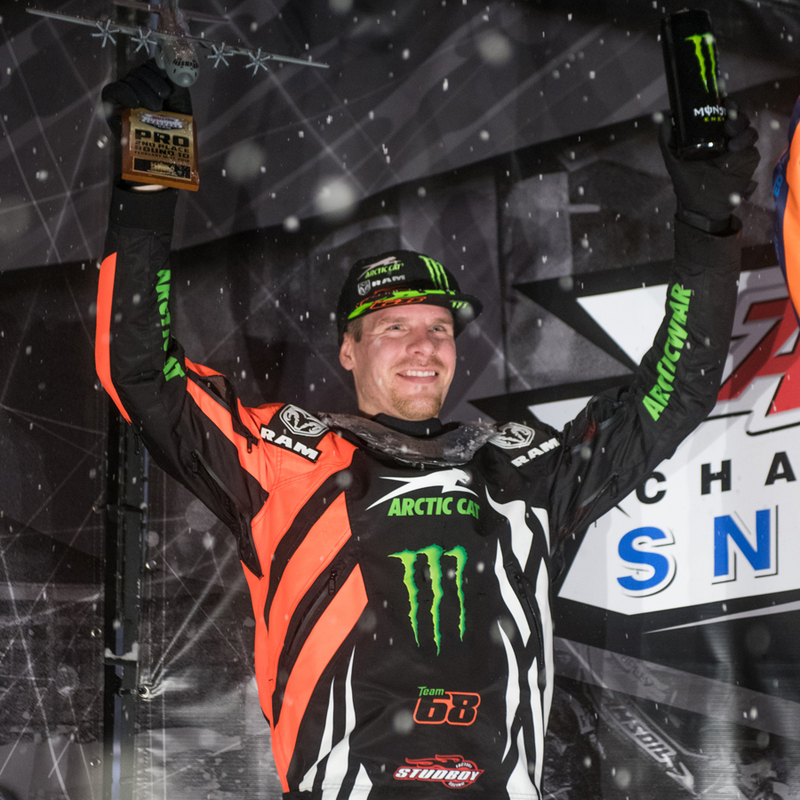 This matte black 12-ounce ceramic mug features a quote from Hibbert along with a list of his snocross career accomplishments imprinted in green gloss. Show your Team 68 pride everywhere you go with the Tucker Hibbert Team 68 Enamel Pin. This black metal lapel pin features the Team 68 logo in bright green soft enamel. The Incredible Ride Sticker Pack includes two stickers printed on durable vinyl. These stickers feature a bold, detailed image of Hibbert racing, his number and a quote. The Incredible Ride Koozie features a bold, detailed sublimated image of Hibbert racing along with a list of his career accomplishments. It fits both 12 and 16-ounce cans. 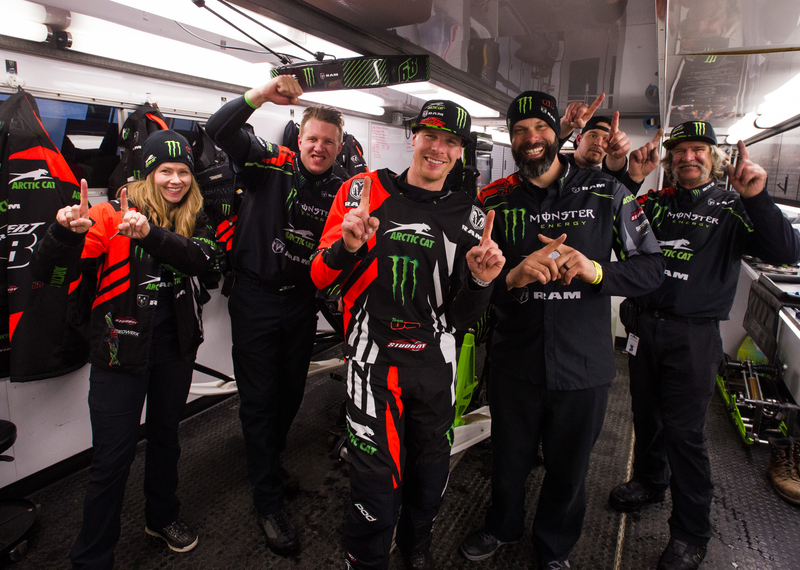 The Tucker Hibbert online store features same-day shipping to customers in the US, Canada, Denmark, Finland, Iceland, Norway, Sweden and the United Kingdom. Free shipping if offered in the continental US on orders of $68 or more. 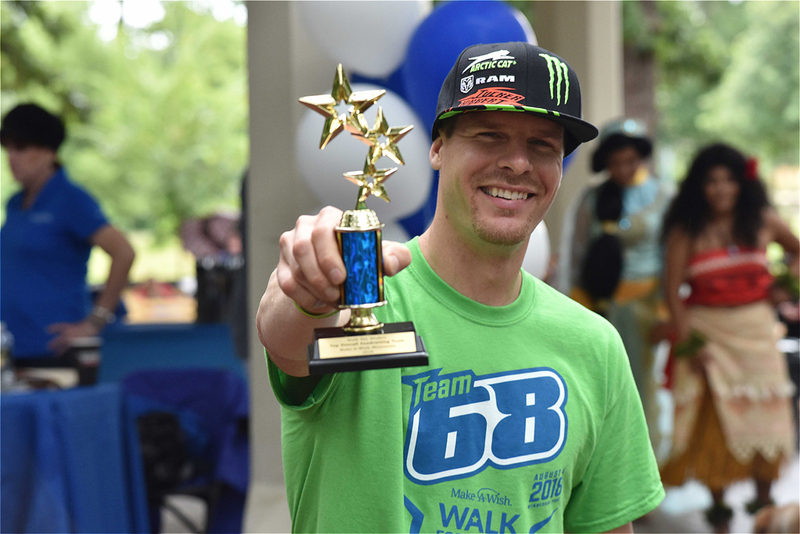 August 7, 2018 – For the third year in a row, Tucker Hibbert’s Team 68 was honored for its fundraising efforts at Make-A-Wish®Minnesota’s Walk for Wishes® Twin Cities event. 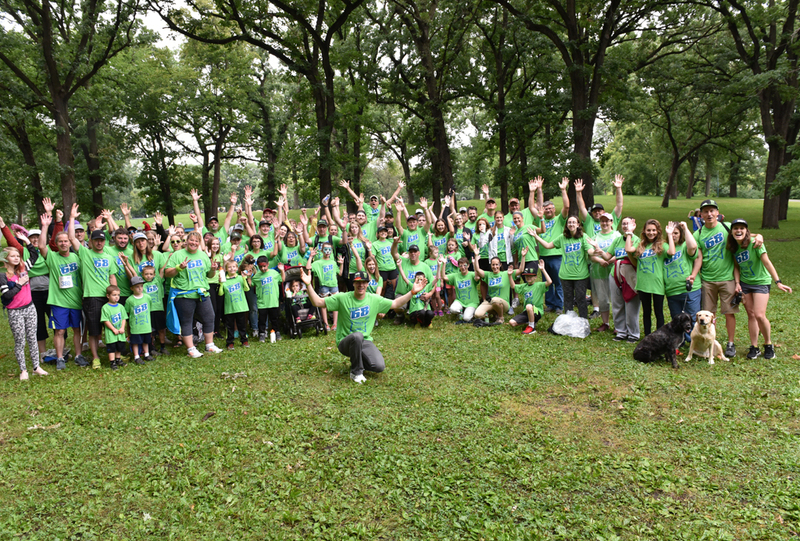 Despite cloudy skies and the threat of thunderstorms, nearly 100 people joined Hibbert Saturday morning at Minnehaha Park in Minneapolis to take part in a 5K walk / run and support the wish granting mission of Make-A-Wish Minnesota. Team 68 recorded $12,534 in donations at this year’s Walk for Wishes. Since 2016, the team has raised nearly $34,000 to grant the wishes of children with critical illnesses. The Team 68 fundraising page will stay open through Friday, August 17. Hibbert will honor every contribution of $20 or more with a Team 68 Walk for Wishes t-shirt. For more information and to make a donation, visit site.wish.org/goto/Team68. Hibbert with Wish Kid Nick at Walk for Wishes 2018 in Minneapolis. 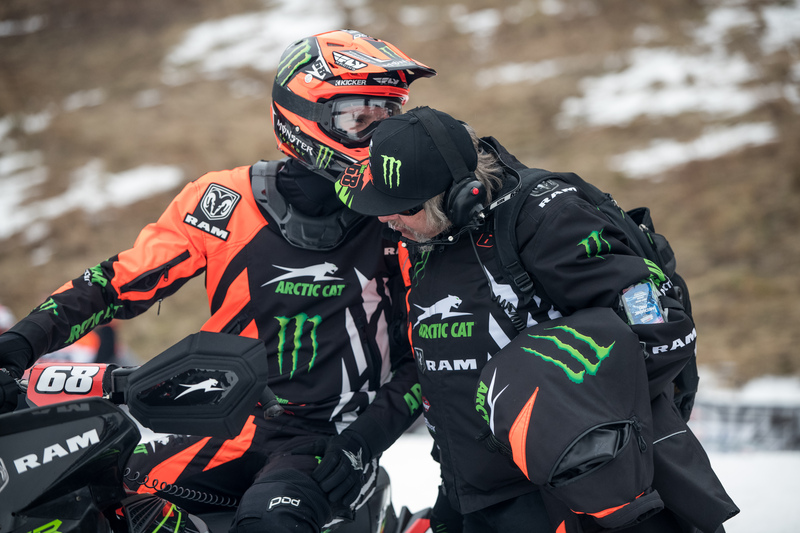 Hibbert helped grant Nick’s wish to have a snowmobile in 2015. It was Hibbert’s first experience with Make-A-Wish and the reason he started supporting the organization. Nick and his family are passionate about giving back to Make-A-Wish and have been apart of Hibbert’s Walk for Wishes team the past three years. 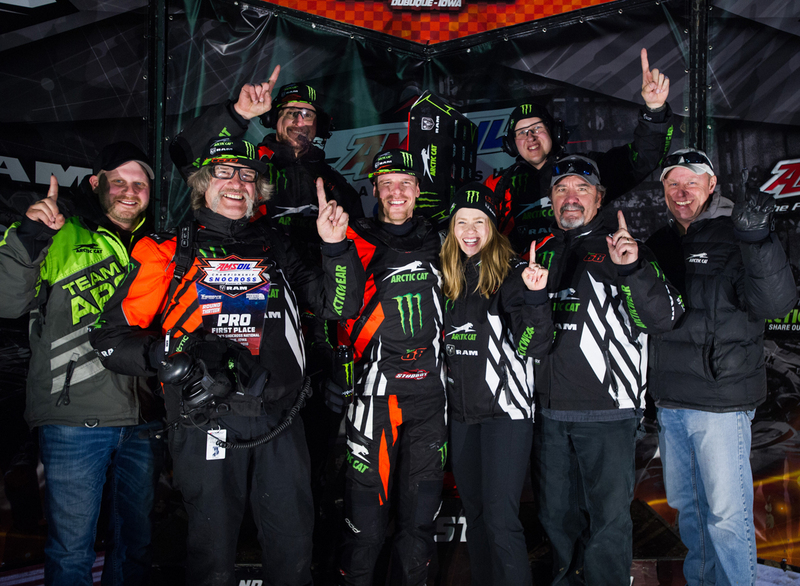 June 19, 2018 – Tucker Hibbert is continuing his efforts to raise money for Make-A-Wish® Minnesota by leading a team at the 2018 Walk for Wishes® Twin Cities event. 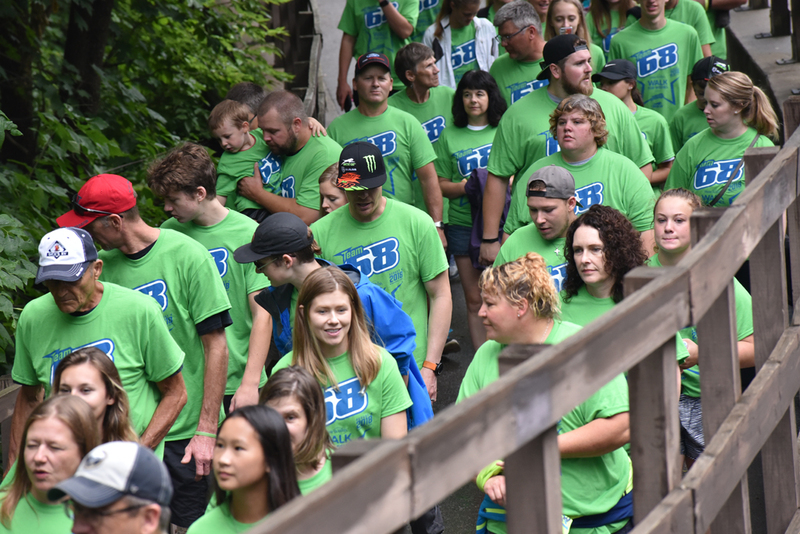 For the third consecutive year, Hibbert is bringing together fans, friends and family to join Team 68 and help grant the wishes of children with critical illnesses. 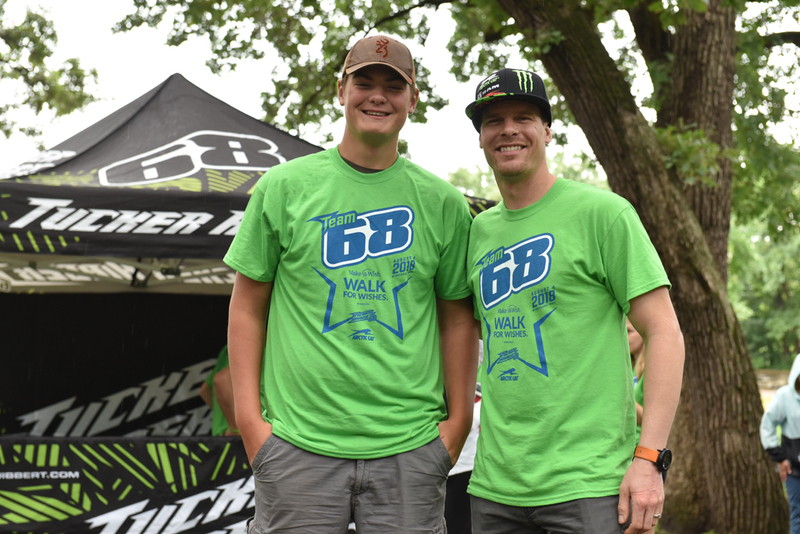 Since 2016, Hibbert’s Team 68 has raised over $21,000 for Make-A-Wish Minnesota through the Walk for Wishes event. 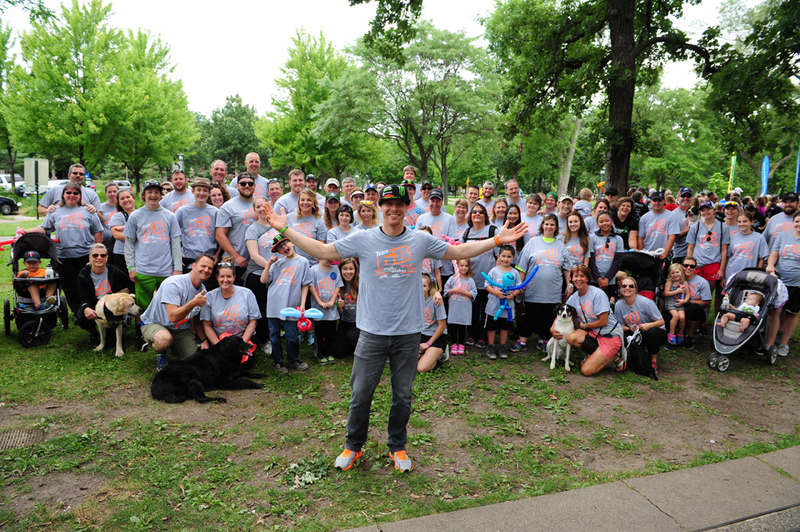 The 2018 Walk for Wishes Twin Cites 1-mile walk and 5K run will take place the morning of Saturday, August 4 at Minnehaha Park in Minneapolis. 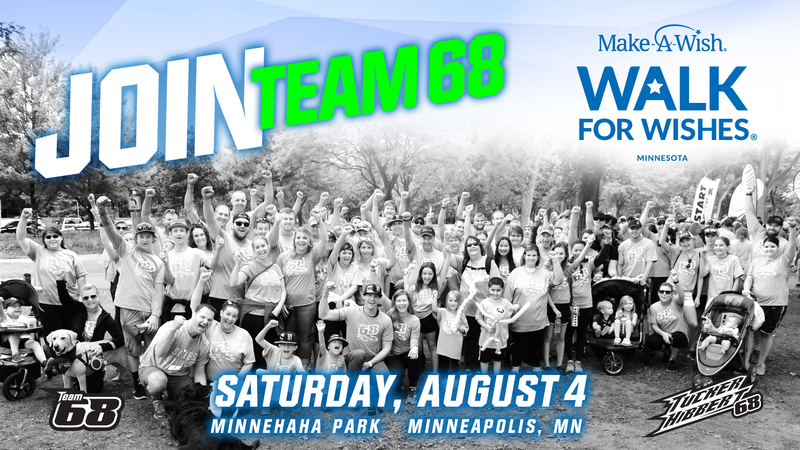 A $20 donation registers you for the event and reserves your Team 68 Walk for Wishes t-shirt. People who join the team but are unable to attend the event will still receive the t-shirt to acknowledge their contribution. All money raised goes directly to Make-A-Wish Minnesota. To join Team 68, visit site.wish.org/goto/Team68. 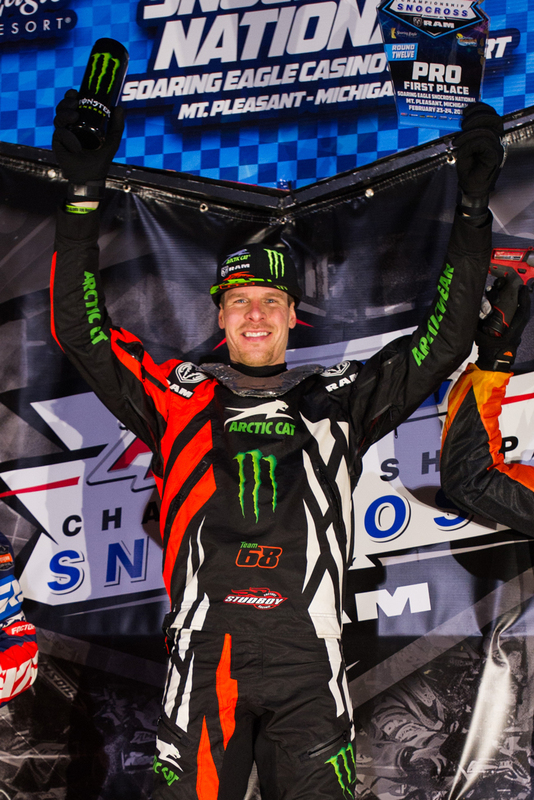 March 12, 2018 – Tucker Hibbert put a stronghold on the 2018 ISOC National Snocross points championship with back-to-back dominant performances in Dubuque, Iowa. 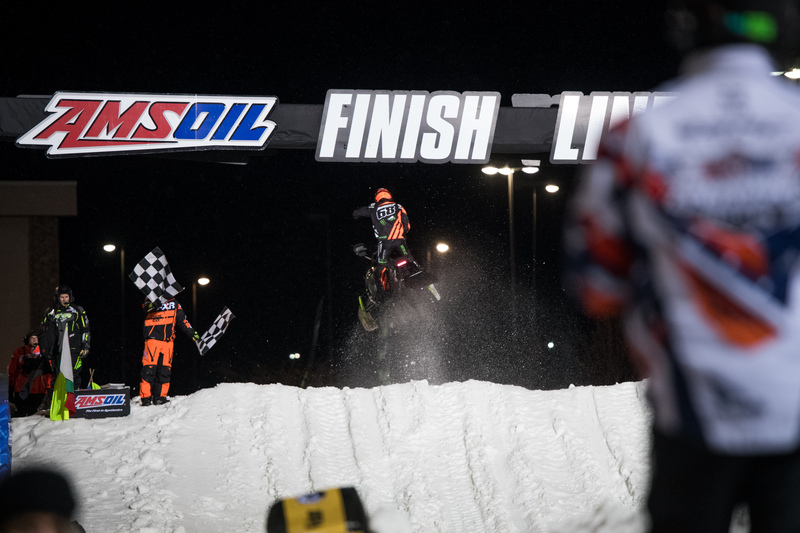 Winning both finals and three of the four qualifiers, Hibbert gained 39 points over second place throughout the weekend to extend his points lead to a whopping 100. 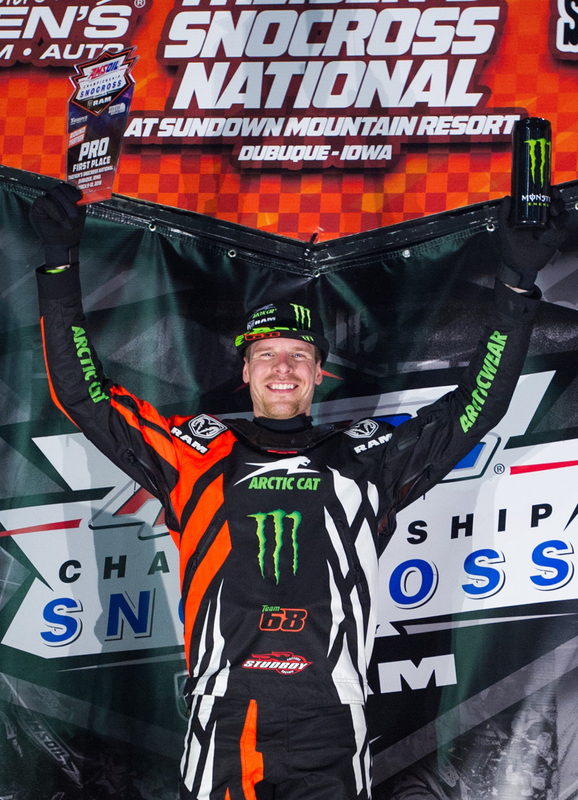 In its second year hosting the Iowa National, Sundown Mountain Resort featured a completely different style track than last year with a technical course stretched across the top of the ski hill. The 35-second track utilized sections of two downhill runs, giving the course elevation changes with big jumps, sweeping turns and off-camber corners. Friday and Saturday night played out similar for Hibbert. Capitalizing on solid starts in the 18-lap, 15-rider finals, he took the early lead both nights. Masterful with his line choices, he moved all over the course looking for the fastest and smoothest lines. His strategy worked as he rode unchallenged to finish 11 seconds over second place both nights. 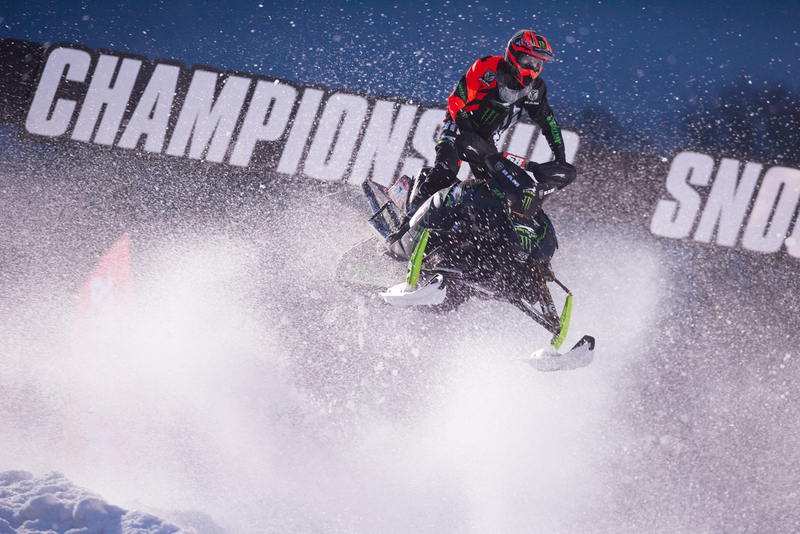 With 177 points on the line at the three-day season finale in Lake Geneva, Wisc. 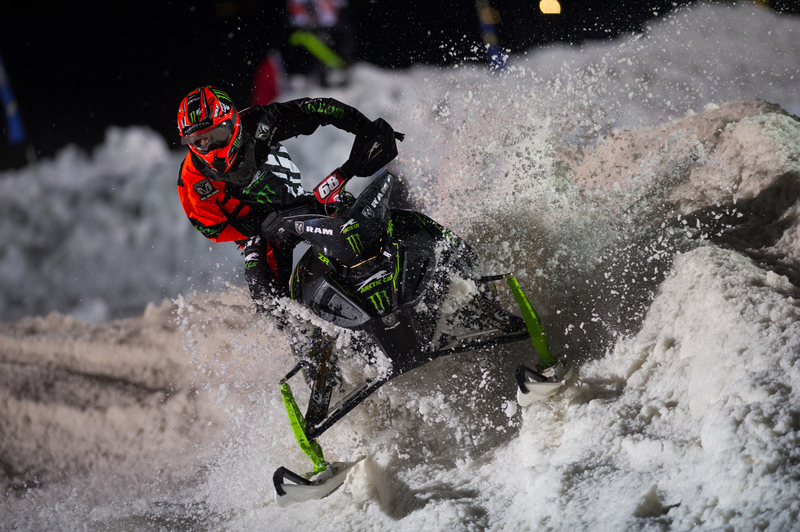 this weekend, Hibbert has the opportunity to clinch his 11th Pro National title Friday night. 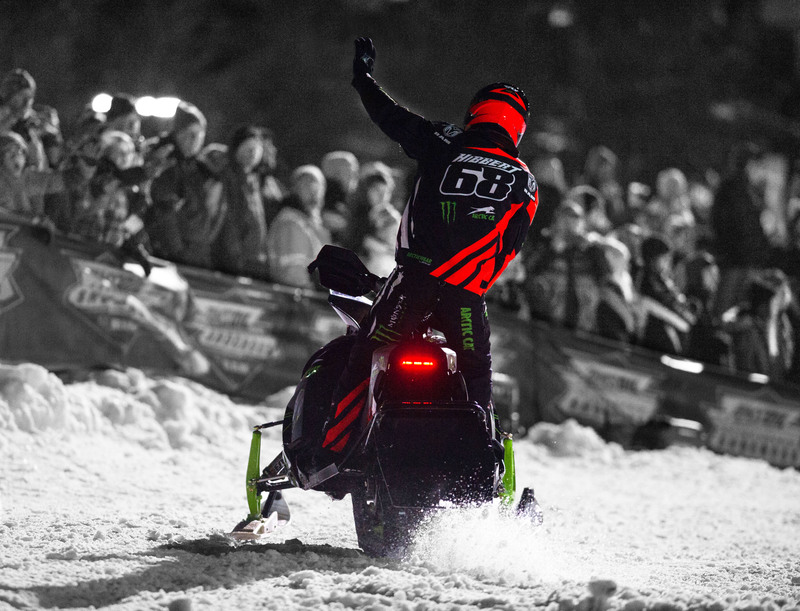 Meet Tucker and get a FREE ticket to Lake Geneva snocross! Stop by the Kunes Country of Elkhorn Ram Truck dealership in Elkhorn, Wisc. 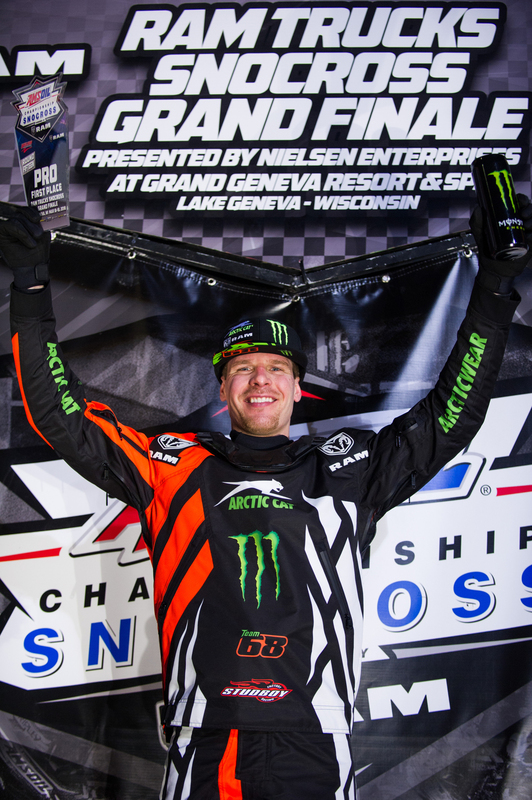 Thursday, March 15 5-7:00 p.m. for your chance to meet Tucker and get tickets to the ISOC National Snocross event at Grand Geneva Resort. Test drive a new Ram Truck between 5-7:00 p.m. that night and you’ll get a FREE ticket the race in Lake Geneva! 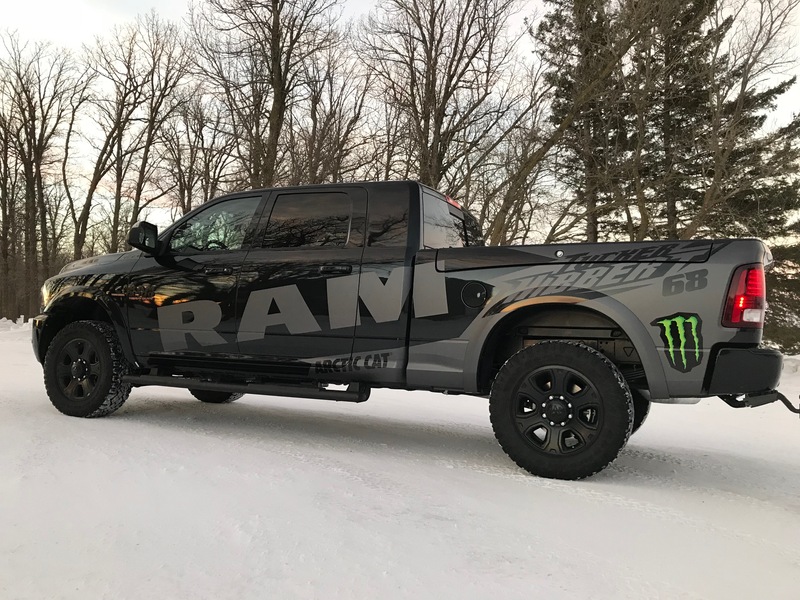 What: Meet Tucker Hibbert // Test drive a new Ram Truck to get a FREE ticket to the ISOC National Lake Geneva Snocross event! 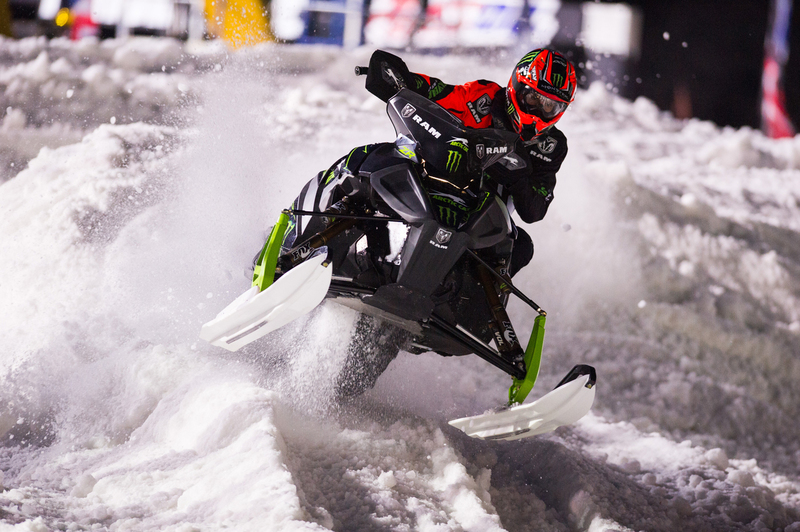 When: Thursday, March 15 // 5-7:00 p.m.
Tucker Hibbert took a win Saturday night at the ISOC National Snocross tour’s Michigan National and with strong performances throughout the weekend, maintained his grip on the 2018 points championship. With two days of heavy rainfall and warm temperatures in the Mt. Pleasant area prior to the event, the piles of snow made for the track were wet and heavy, resulting in a rough and challenging racecourse. Hibbert went 2-1 in qualifying Friday night and after a mid-pack start in the 15-rider, 20-lap final, was in good position to move forward. 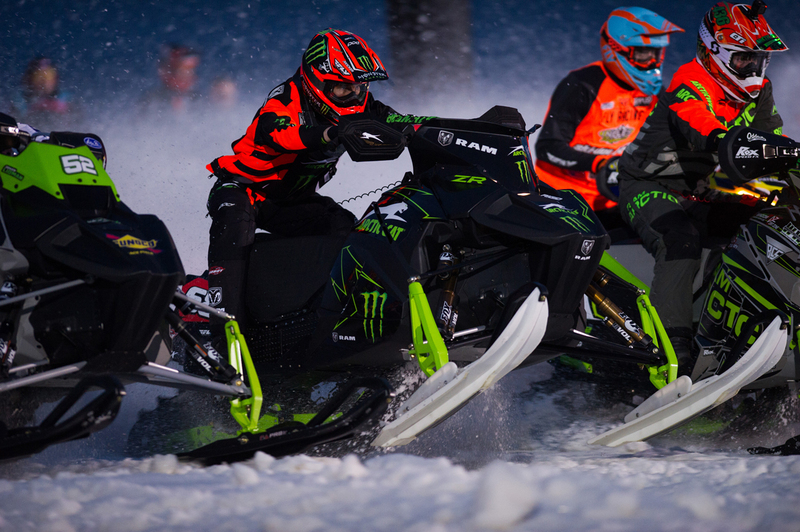 Near the end of lap one, another rider got his ski into the back of Hibbert, leaving the two rider’s sleds stuck together. Hibbert broke free of the tangle seconds before the pack was coming around the track to lap him, keeping him on the lead lap. He charged hard through the field the rest of the race to secure a sixth place finish. Saturday night, Hibbert went 4-1 in his qualifying rounds. With another mid-pack start in the 15-rider, 18-lap final, he focused on getting through the opening laps clean and into a position to fight for the win. Tapping into his skill to find lines on a deteriorating track, he moved through the field fast. On lap seven, he made the pass for second and had early race leader, Kody Kamm, in sight. He spent the following laps setting him up and with five to go, block passed Kamm in the corner before the finish line and went on to take his 135th career win. The national series takes a one-weekend break before heading into the final two stops of the 2017/2018 tour in Iowa and Wisconsin. 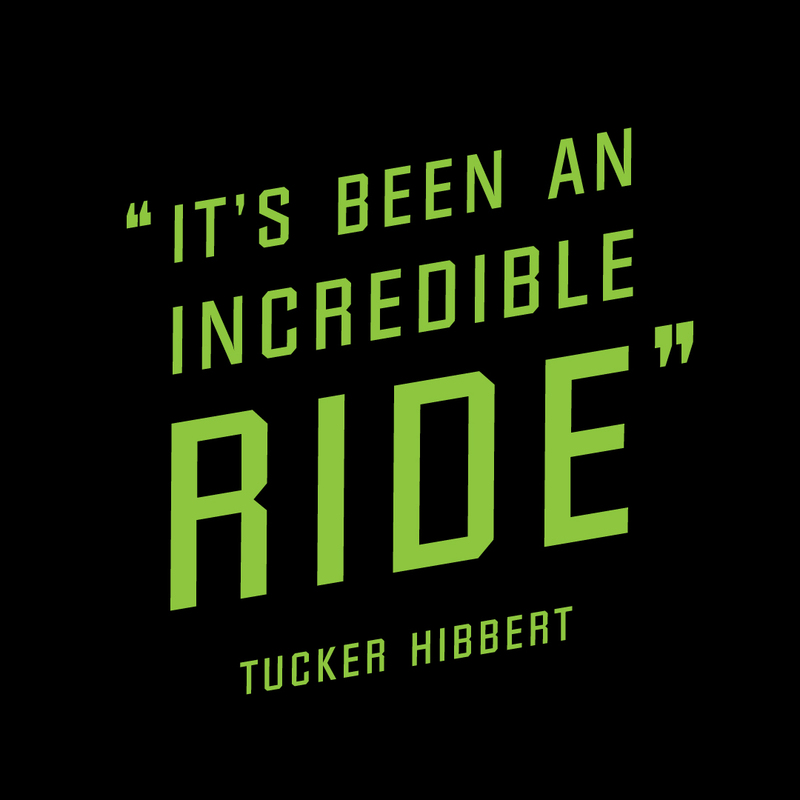 For more information on Hibbert and his racing, visit tucker-hibbert.com. 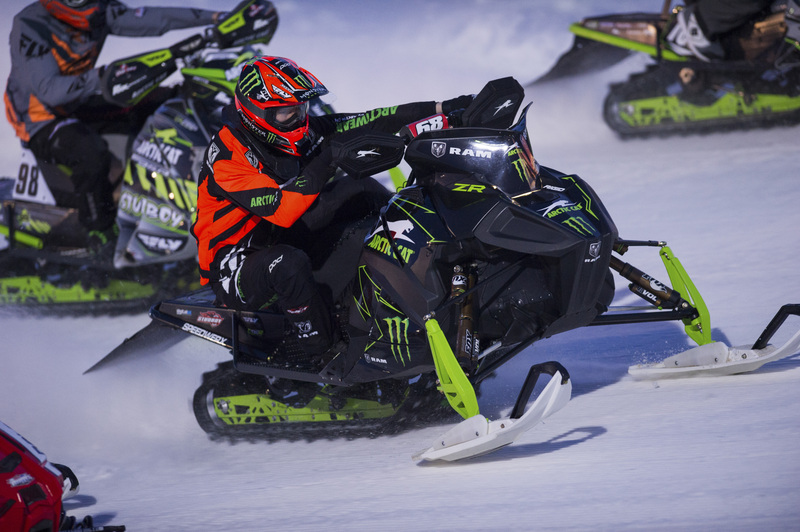 February 19, 2018 – Tucker Hibbert extended his points lead in the ISOC National Snocross Championship at the Eastern National in Salamanca, NY. 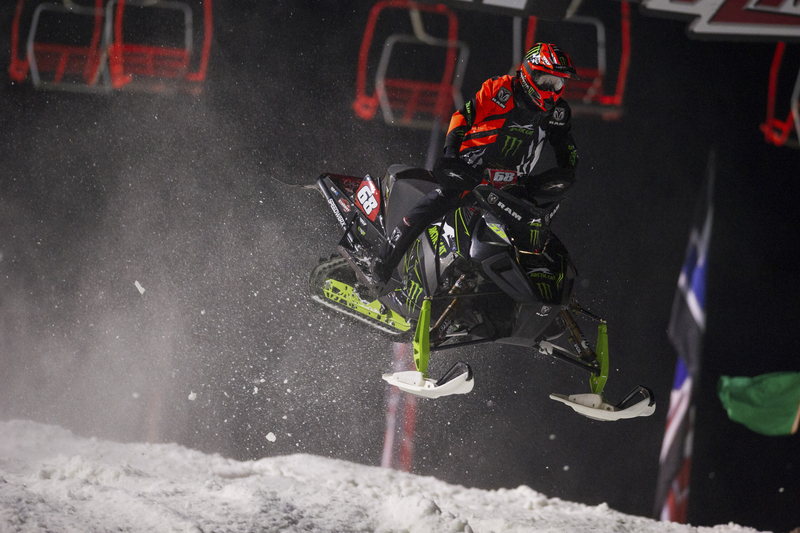 Hibbert was untouchable in qualifying and with points being awarded for qualifying rounds, he racked up valuable points despite going 13-2 in the final events. 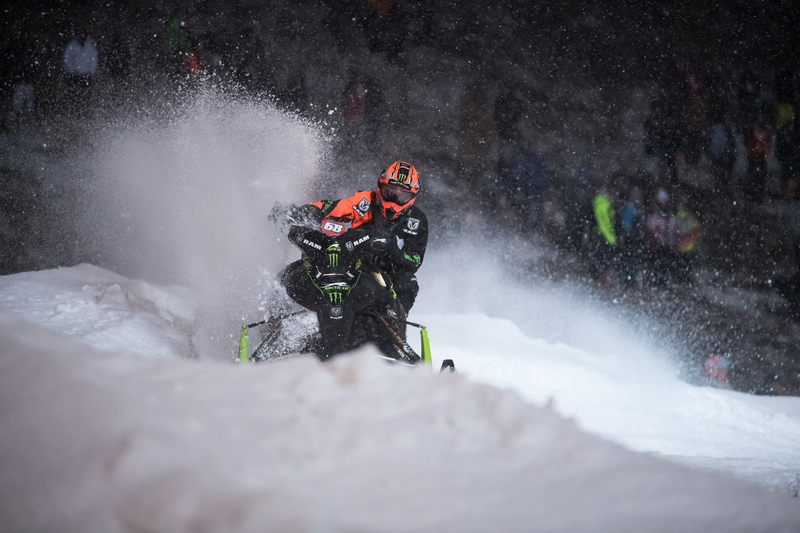 In Friday night’s final, after winning both qualifiers, Hibbert lined-up on the far outside due to ISOC’s pro start rule which requires riders to take their pick in an inverted order based off their results earned in qualifying races. To avoid getting pushed off the track in the tight left first turn, he grabbed the brakes and slotted to the back of the 15-rider field. He made passes quick and on lap seven of 22, moved into seventh. Two laps later, he misjudged the speed and position of another rider and put himself in a line that caused him to get partially landed on. Hibbert was unharmed but the incident left his throttle cable broken. Unable to continue racing, he exited the track and was scored 13th based on the number of laps he completed. 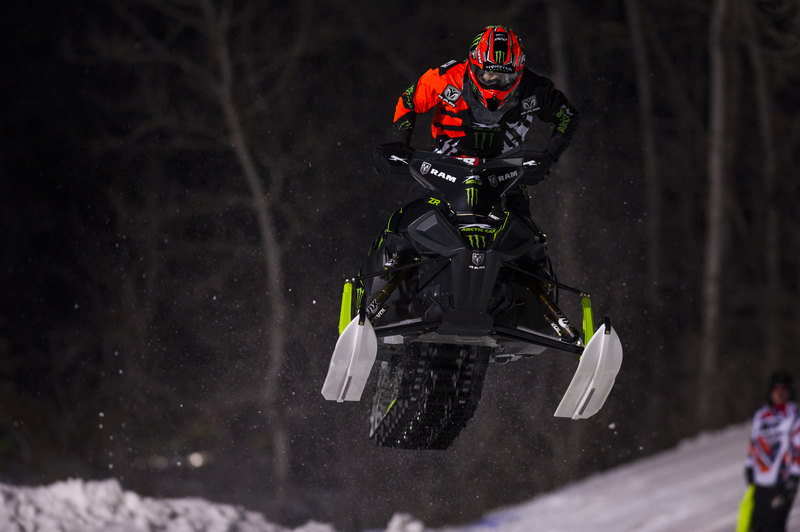 Saturday night, Hibbert was once again the number qualifier for the final event. Instead of starting on far outside of the front row, he opted to start from the back row with the goal of being in a safer position through the first turn. He got through the first turn clean then ran into a rider who was stopped at the top of the first jump, leaving him in last place. With minor damage to his right ski and a-arm, he charged forward. Lap eight of 22, he moved into eighth place. With a 14-second deficit to make up on the leader, he clicked off fast lap after fast lap and with two laps to go, passed Logan Christian for second place. 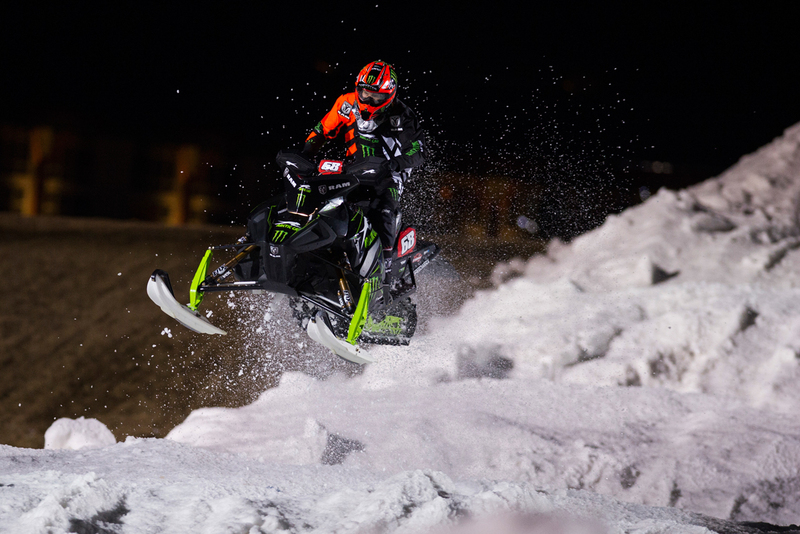 Hibbert kept the pressure on to the end to finish 1.3 seconds behind race winner Kody Kamm. 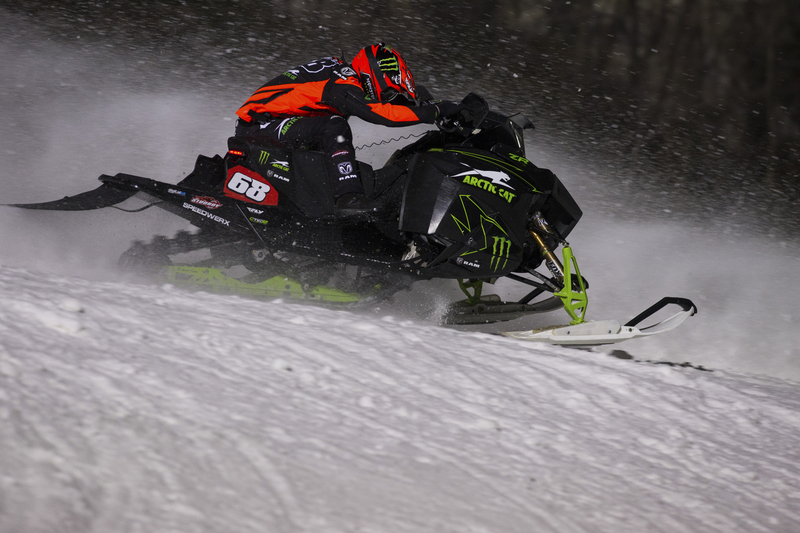 Next up for Hibbert is the Michigan National this weekend in Mt. Pleasant. The 10-time champion now holds a 61-point lead in the 2018 points championship. For more information on Hibbert and his schedule, visit tucker-hibbert.com. 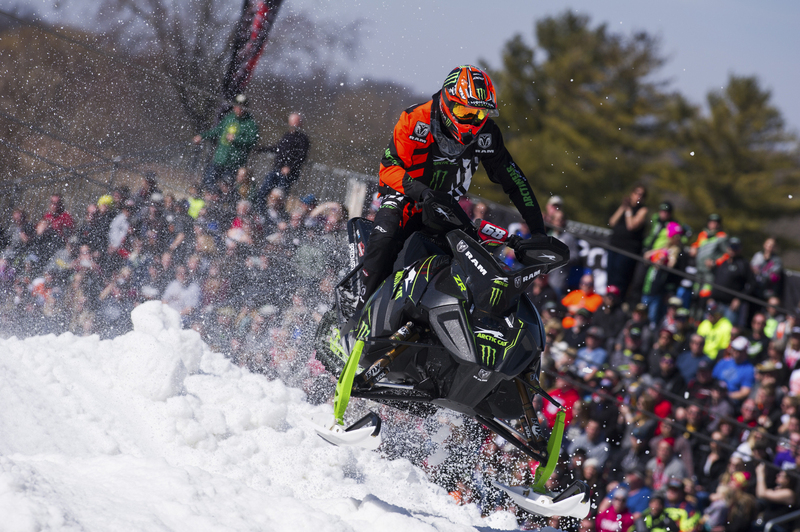 Meet Tucker and get FREE tickets to Michigan snocross! Stop by MY Chrysler Dodge Jeep Ram in Mt. 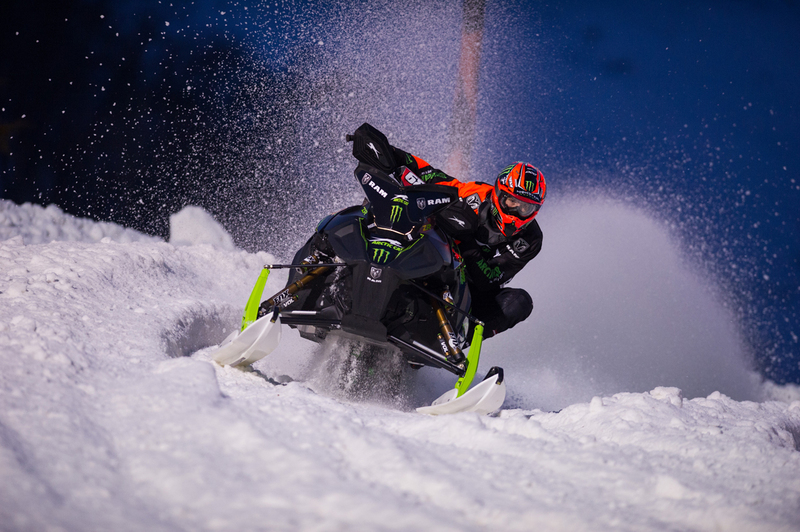 Pleasant, Mich. Thursday, February 22 5-7:00 p.m. for your chance to meet Tucker and get tickets to the ISOC National Snocross event at Soaring Eagle Casino & Resort. 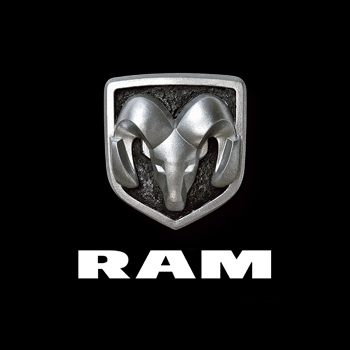 Test drive a new Ram Truck between 5-7:00 p.m. that night and you’ll get a pair of FREE tickets the race in Mt. Pleasant! 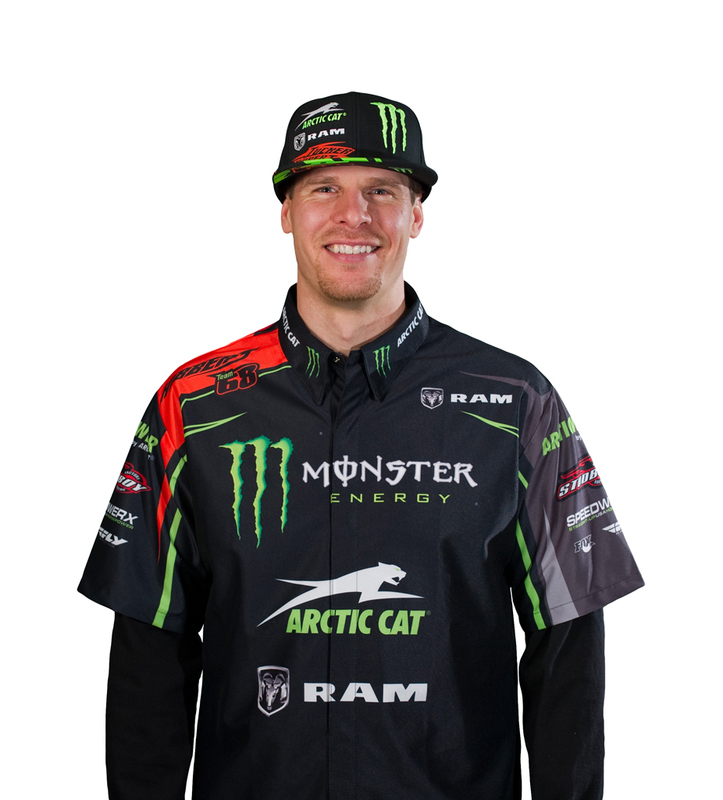 What: Meet Tucker Hibbert // Test drive a new Ram Truck to get FREE tickets to the Mt. 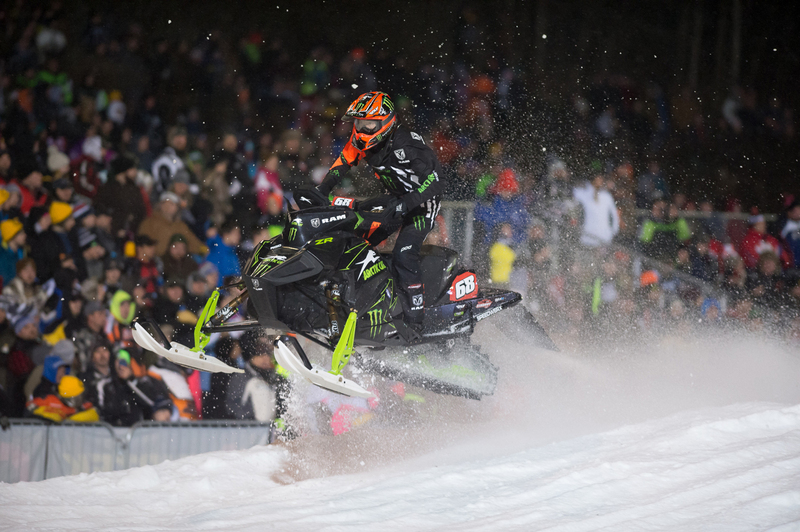 Pleasant snocross event! When: Thursday, February 22 // 5-7:00 p.m.